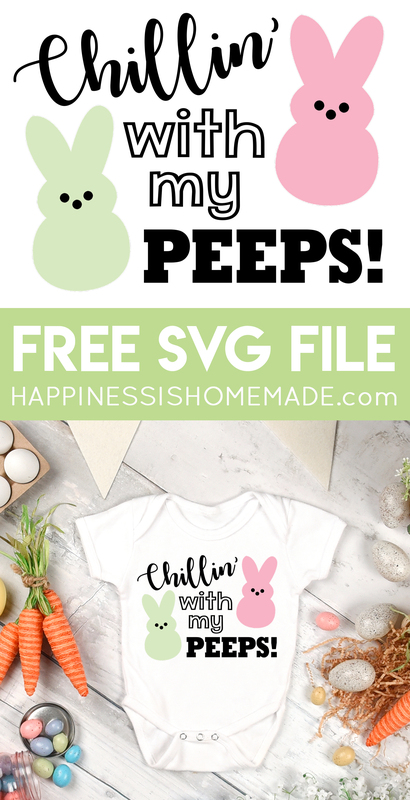 Use our FREE “Chillin’ with My Peeps!” Easter SVG file to make your own adorable Easter shirts, onesies, mugs, and more! 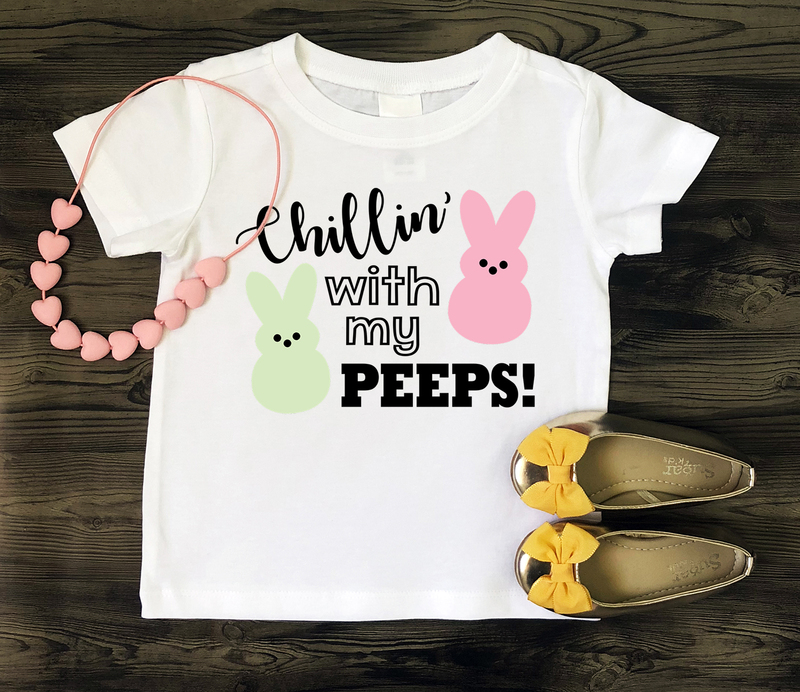 Your little princess or prince will look cute as a button in their awesome new Peeps shirt this Easter! 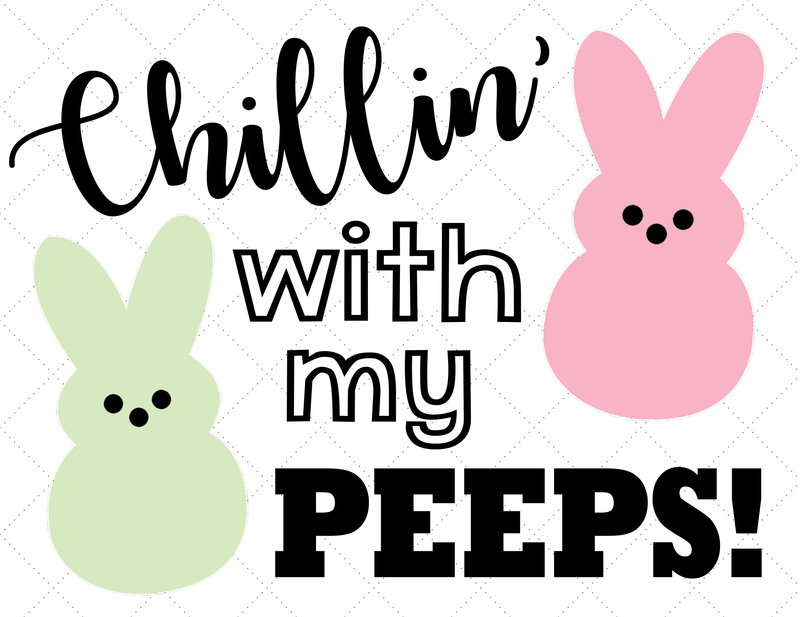 Easter will be here before you know it, and we’ve got you covered with this adorable “Chillin’ with My Peeps!” Easter SVG file! 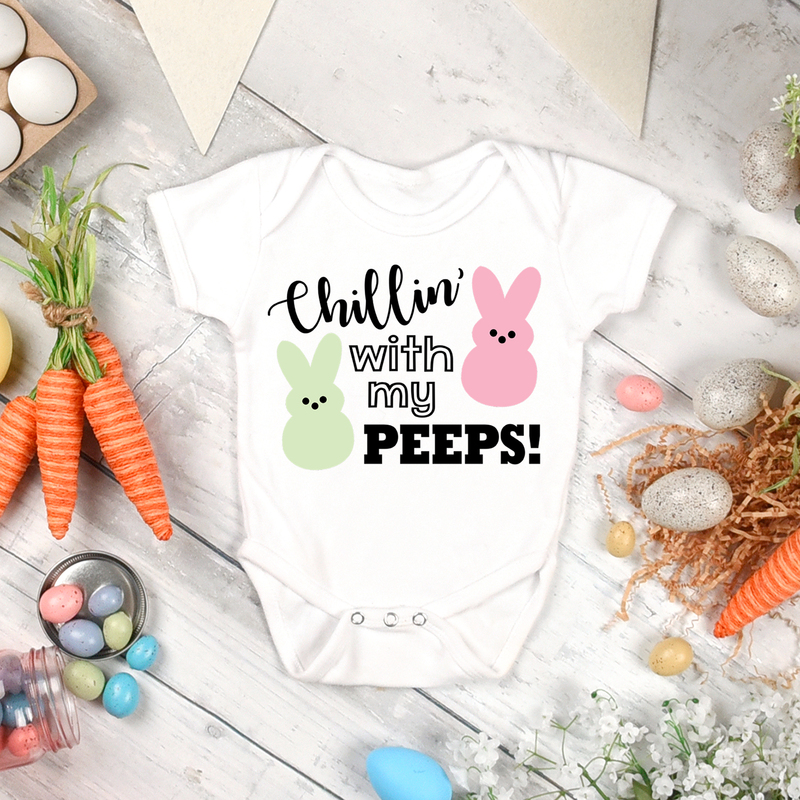 It’s perfect for creating baby onesies, kids t-shirts, mugs, and more – simply download the cut file and use it with your Cricut or Silhouette cutting machine to make customized Easter apparel the easy-peasy way! Are you a fan of Peeps? The brightly colored sugar-covered marshmallow bunnies and chicks traditionally appear on store shelves right after Valentine’s Day, and to me, they are the ultimate kickoff to the beginning of Easter season. Personally, they’re a little too sweet for my taste, but I LOVE the way that they look, and their shape and design scream classic Easter, so I thought they’d be absolutely perfect for Easter shirts and apparel! 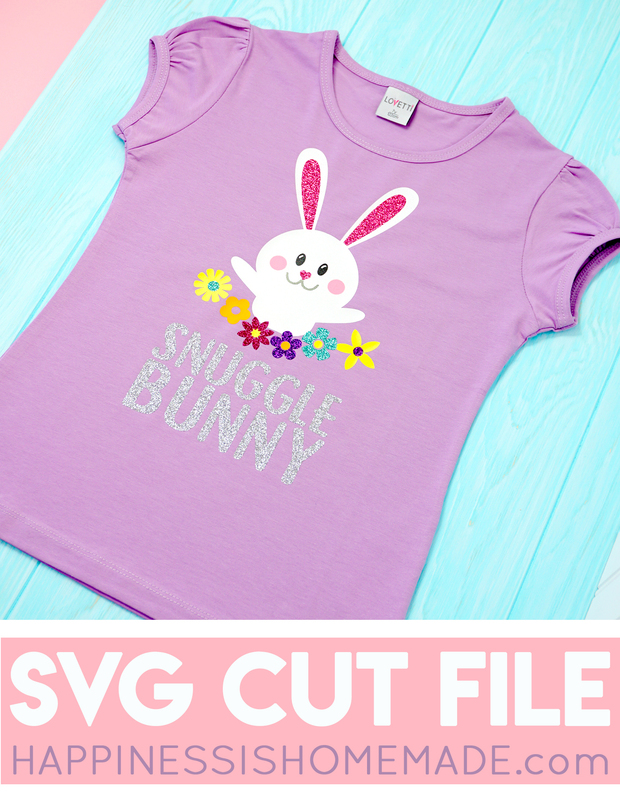 All it takes is your favorite cutting machine (I prefer the Cricut Maker or Explore Air 2), some iron-on heat transfer vinyl, and our free Easter SVG file! Seriously, how adorable is this?! It’ll be perfect for your Easter celebrations and egg hunts! 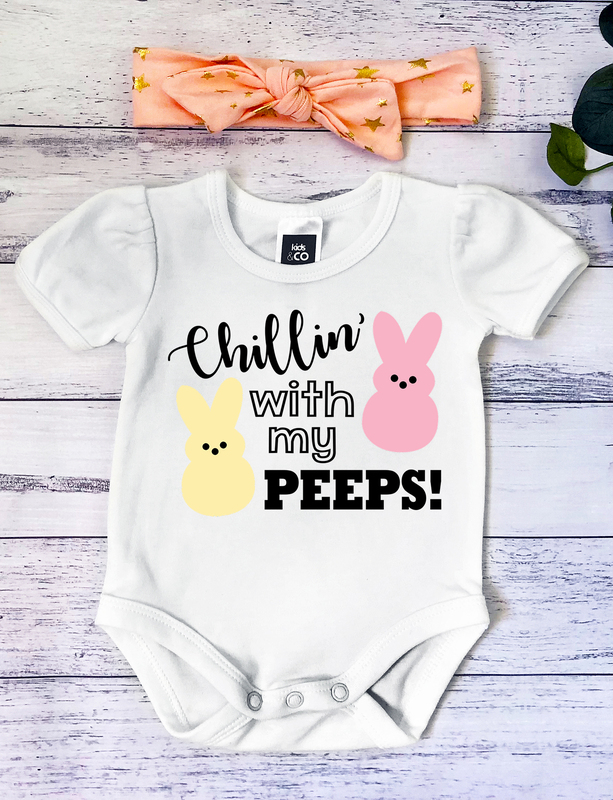 You can change up the colors of the Peeps to coordinate with your favorite accessories or to make them more “boyish” for your favorite little guy! Of course, it’s super cute in adult-sized gear as well! I love this sweet-tough combination of the black onesie and the girly pink tutu! 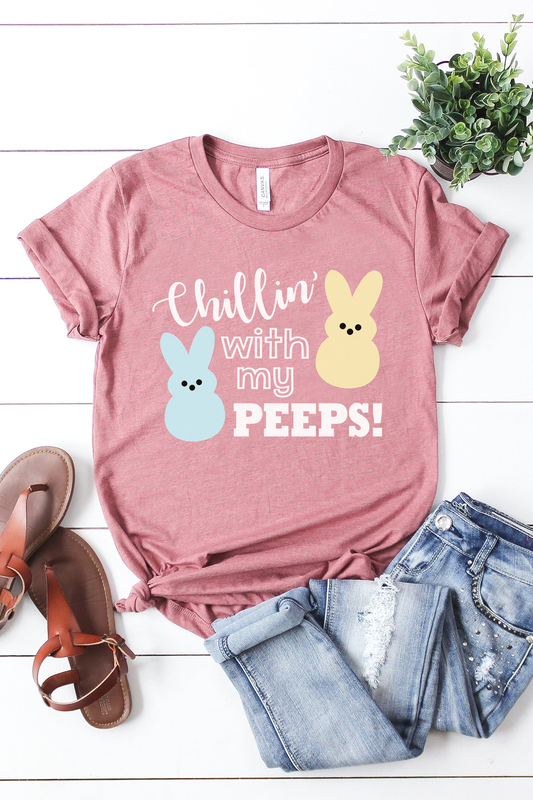 Your little one will be the star of the Easter festivities in their awesome “Chillin’ with My Peeps” Easter shirt! Also, I think I need to find out if these adorable shoes come in MY size! Pin the Chillin’ with My Peeps Easter SVG for Later!